BROADCO is a licensed general contractor specializing in the restoration & reconstruction of residential, commercial, and industrial property after a catastrophe has occurred. Our wide range of experience includes: residential, businesses, churches, historical buildings, multi-unit condo's, apartments, shopping centers, schools and light industrial structures. Our managers and employees are trained and certified by the IICRC in proper restoration procedures to ensure your property will receive the most current restoration techniques. BROADCO has developed an industry-wide reputation for being safe, responsive, professional and efficient, all while offering superior service and quality workmanship. In addition to being a licensed & insured general contractor, we have the experience in handling insurance claims to assure the property owner or manager, comprehensive utilization of the policy coverage. We tailor our approach to aid each of our clients through their individual disaster recovery, restoration and reconstruction needs. Here at BROADCO we understand that "Time is of the essence" and we are ready to respond and perform for you! Fast Response We know your home or business is your most important investment. Our rapid response team is available 24/7 to respond to your emergency. On-going Communication When your property is damaged, you want professionals with high integrity to bring you back to normal. We keep you informed from the initial call through job completion. We are committed to your total satisfaction every step of the way. Consistent Quality You deserve the highest level of expertise and workmanship. State-of-the-art equipment and technical knowledge are cornerstones of our business. We are built on a strong foundation of quality and service in everything we do. 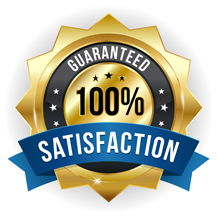 Industry Experts You can be assured that our technicians and tradesmen are certified and licensed, with the highest level of on-going, specialized training in cleaning and restoration. Let our experience, training and technology put your mind at ease.